Laminate floors combine natural looking design with a durable finish and can be used in almost any area of your home. Laminate floors are also perfect for commercial and high traffic areas. Laminate floors will look like new for years and are an economical choice for any project. 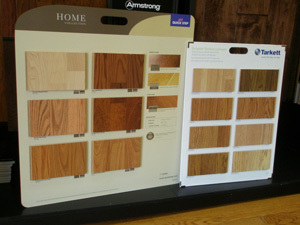 J R Flooring offers a wide selection of laminate to fit any budget or style. J R Flooring specializes in the installation of both residential and commercial laminate flooring in Stroudsburg, East Stroudsburg, the Pocono Mountains, Monroe County and the surrounding Tri-State area.